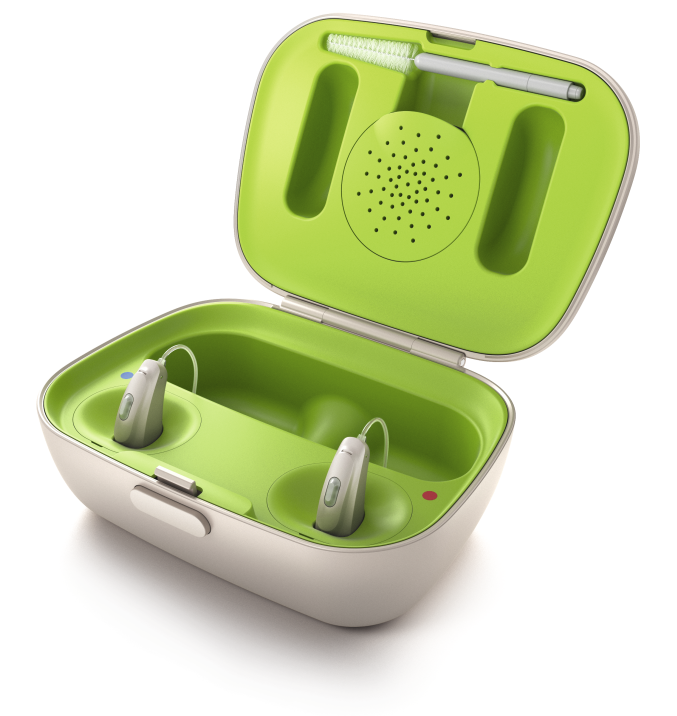 Phonak Charger Case is a charging option for Phonak Belong rechargeable hearing aids that also acts as a drying Kit and a hardcase. Charging time for a completely depleted hearing aid is 3 hours. Phonak Belong Charger Case RIC by KEEPHEARING LTD. 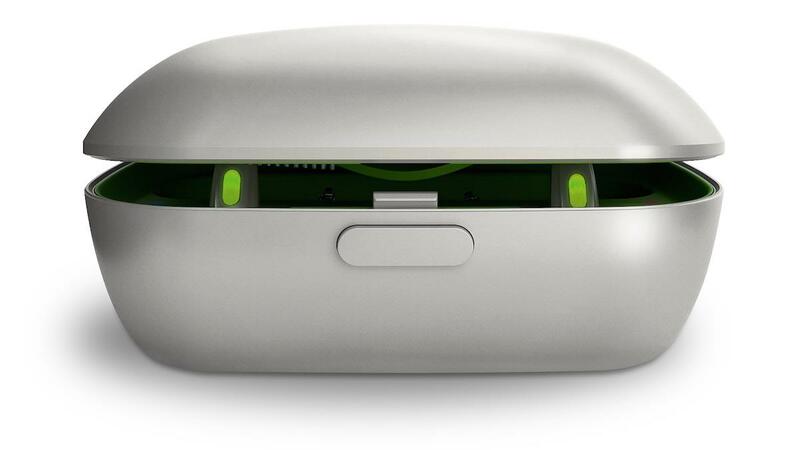 The Phonak Charger Case is a charging option for Phonak Belong rechargeable hearing aids that also acts as a drying Kit and a hardcase. An optional and removable Power pack can be attached to the Charger Case for moments when there isn't an available external power source. If you want a charger that has the benefits for charging, storing and drying your hearing aids at the same time, this is the ideal solution. By adding the Power Pack, there is the added benefit of charging without an external power source for up to 7 days. To charge the hearing aids, simply click them into the Charging slots of the Charger Case and they automatically Switch off. Charging time for a completely depleted hearing aid is 3 hours. When there is no external power source available, the Power Pack can be locked to the bottom of the Charging Case. This will provide 7 full charges for a pair of Belong rechargeable hearing aids. To recharge the Power Pack, it does not have to be removed from the charger case. Just connect to an external power source and the hearing aids and power pack can be charged together.